Every time a light turns on, thank an electrician. 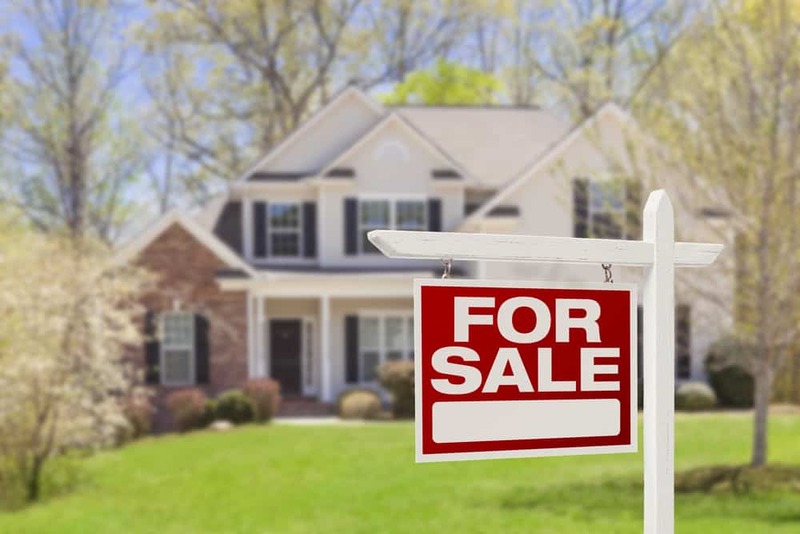 Putting your home up for sale involves a good deal of thought and planning, especially if you’ve lived in it for a while. As you’re preparing your house to sell it, it’s important to critique its appearance and make improvements where you can. When making electrical upgrades, it’s important to consider the wiring behind the walls and the new fixtures you select. Adding light fixtures. No one knows better than you do where you need more light in your home and yard. Once you start preparing your house to sell, make a list of places where you’d put more lighting if you were staying. Upgrading electrical fixtures. Over time, ceiling and accent lights go out of style. It may be time to change them as you’re preparing your house to sell it. If yours are dated or damaged, look online or at home improvement centers for current styles. Adding outlets. The overuse of power strips is a sure sign that you need more outlets. Unless you’re the exception, chances are the people who buy your home will too. Older homes aren’t wired to accommodate all the electronics we use today. The licensed electricians at Turn It On Electric can help you decide where to put them and install them for you. Updating outlets. Changing old outlets and dated switches to contemporary fixtures is a good idea when preparing your house to sell. Newer homes in all price ranges use rocker switches that make it much easier to turn a switch on and off. Install USB-charging outlets or receptacles in each bedroom, the kitchen and the family room. These offer much more convenience than having to search out a computer or charger to keep portable devices charged. Adding AFCIs. Adding arc fault circuit interrupters gives your home an extra layer of safety as you’re preparing your house to sell it. Some municipalities in the valley require them whenever an existing home is sold. They’re now part of the electrical code for new homes, but not every municipality in the metro area requires them in resale homes. Regardless, they are an affordable way to reinforce home electrical safety. If the people who buy your home plan to finance it, they’ll have to have a thorough evaluation of all its mechanical systems by a licensed home inspector. The inspection will include electrical safety. Circuit breakers that trip for no apparent reasons. Circuit breakers are safety devices that will shut the power off to a specific area or appliance if the wires are generating too much heat. A breaker or breakers that turn off at random times could signal a wiring problem. Flickering lights. You might have too many appliances, computers, or devices plugged into one or more outlets on a particular circuit. Hair dryers, toaster ovens, microwave ovens and some garage tools use a significant amount of electricity. Have an electrician from Turn It On Electric evaluate the circuit when you’re preparing your house to sell. Discolored switches or electrical outlets. Anytime you see soot – a black stained outlet, receptacle or a light switch; it’s time to call Turn It On Electric even if you’re not preparing to sell your home. Fixing any hazardous electrical issues should be at the top of your list. If you’re making electrical upgrades as you prepare to sell your home, call Turn it On Electric. At Turn It On Electric, we're committed to getting the job done right the first time. Call our team 24/7 for help with any of your electrical needs, and we'll get one of our professionals out immediately. Call us now at (602) 453-4288! As the owner of Rictor Contracting, I receive many requests from subcontractors to use their services. Though there are several electricians out there, we use Chad as our electrician EXCLUSIVELY. Whether we need a consultation, a simple switch installed, or we’re doing a complete remodel or addition, Chad is the ONLY electrician we ever use. He excels in his trade and holds the same high standards for customer service and workmanship as we expect from ourselves and our employees for our clients. We are always confident in referring our clients, family, friends and neighbors to Chad because we know we can trust that he will perform the best possible service for them. Chad is motivated and an outside of the box thinker. He has provided service for our company many times. He is the one we call anytime there is an electrical issue. We have the greatest confidence in his skills and the ability to provide awesome customer service to our clients. Always professional, Chad treats you like a friend. He shows a well rounded knowledge of his field seeing things a non-professional might not. I trust his judgment and ability to perform the work he promises. I'm a REALTOR so I sometimes need a quick bid for a buyer on a plethora of different items ranging from nonfunctional GFCI's to an entire re-wire and electrical box upgrade when we get the inspection back. I called Turn It On Electric and they were able to get a technician out to give us a bid within 24 hours and had the bid to us within 48 hours of our call. It's hard to find responsive contractors in this day and age that's why I highly recommend them to anyone who needs an electrical contractor. Big thanks to TIO and Bill who came out and quickly sorted out our problems. Good communication, very personable and professional. Would definitely recommend TIO. The team at Turn It On Electric was absolutely fantastic. The office staff was prompt and friendly, and Pedro was phenomenal. He was able to do literally everything we asked and was so friendly and helpful. I was impressed all around and will definitely be using the team at Turn It On again! I wanted to be sure to give Tyson a shout out. He was quick, thorough, and super nice. Would call you guys again based on my experience with him. Keep it up! Had a great experience with Turn it on Electric! We needed a few items fixed according to a home inspection. Pedro was very professional and did an excellent job. They were easy to contact and came out the next day. Will definitely be contacting them for future projects. Turn It On Electric is available 24 hours a day, seven days a week. Call us today 602-453-4288 for convenient scheduling. When you need a Phoenix electrician there is no need to wait for that much needed electrical repair. Save your house…save your LIFE! Join our monthly email newsletter. Turn It On Electric is a Licensed Residential and Commercial Electrical Contractor serving the Phoenix metro area.